DAMNO TE returns this fall! The new Damno Te C10, VerKümmern, will be available on Amusementsbanales this fall. PSYCHIC TUBERCULOSIS//PETER QUISTGARD WESTERN CANADIAN TOUR!!! Based out of Vancouver and Victoria, Psychic Tuberculosis is made up of drummer John Brennan, guitarist/vocalist Trevor Rutley and electronics player/vocalist Jacob Hardy. The three met in Vancouver, playing an impromptu set at Roy G Biv Studios. The chemistry clicked and the band was formed. The sound is a mix of punk, free improv and acid soaked psychedelia, drawing from influences as diverse as Crass, the Boredoms, Coltrane, Evangelista and Neil Young. The three have very separate and unique musical histories as well. Brennan has become known for his frantic rhythmic style but has also toured extensively with his solo electronic project Static Kitten as well as performing as part of Argon Floozy, a mainstay in the Montreal free improv scene. Rutley runs Gold Rush, a country, folk band and began trash noise project Italian Husbands with Hardy who himself has toured extensively with his dance-noise-acid project Holzkopf. The debut Psychic Tuberculosis cassette, “Sharp Tongue,” will be released on the Ramshackle Day Parade label. Peter Quistgard is not that (probably lone) guy who bought CoolEditPro all those years ago (of which many of us should thank! 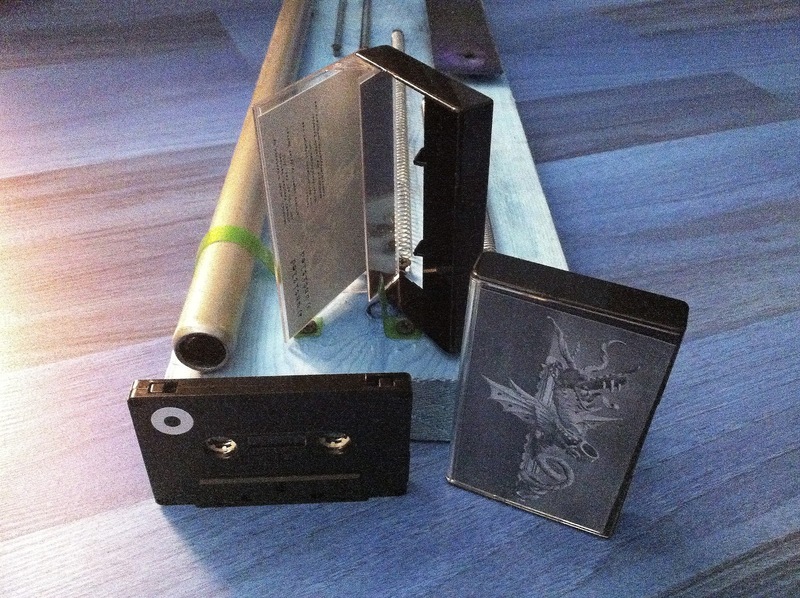 ), but is actually a one-man-band project from Amsterdam’s Luc Van Weelden. A regular contributor to Amsterdam’s OCCII concert house, and co-running the Toztizok Zoundz label. He can at times be seen performing in costumes adorned with flashing LED lights and extra tattered arms and heads (like if Swamp Thing fused his DNA with a shipment of Radio Shack components). He displays his latent craft for collage in the software side of things as his structures seamlessly shift and change, leaving you surprised to the end and yet somehow still wondering where you began. There’s an experimental sensibility here which is absent from most of the “8-bit” scene, but believe me folks, you can boogie to this! This is rave music re-imagined in a doom-noise blender. 2 Tracks – Recorded, Mixed & Mastered By Potier. Artwork Layout by Myles Bartel. All available Potier.-Releases can now be purchased here. I saw this trailer within the last week, and got pretty stoked about seeing the film. The project is was receiving pledges through Kickstarter, which (if you aren’t already familiar with) helps artists receive financial support from everyday people for large projects. When I noticed their goal is set at $25,000 and with the project shy of half that amount ($11,883 as of this moment) and a deadline of noon tomorrow (EST time), I became a little disappointed to know it won’t be available to watch anytime soon. Regardless, thought it might garner interest among you. The filmmaker reached his goal at the last minute. Very sweet. Oh and heads up, cassette tape is no longer in the Oxford Dictionary.